Research Explorer Ruhr (RER) is a two-week summer program for international doctoral researchers, who have submitted their doctoral thesis, and early postdoctoral researchers interested in exploring the research landscape of the University Alliance Ruhr with its three members Ruhr-Universität Bochum, TU Dortmund University and University of Duisburg-Essen. Join in and explore research opportunities at our most excellent chairs and institutes. Benefit from workshops on postdoc funding schemes and research career options in Germany! A series of networking events and guided excursions will help you becoming acquainted with the thriving Ruhr Area as a potential place to work and live. The program is conducted entirely in English and the invitation includes travel expenses and accommodation. This year's Research Explorer Ruhr will take place from 16 to 29 June 2019. The call will open in February 2019 and hence the new hosts will be put online. You can conveniently apply directly at the end of each profile (see "Hosts and Application"). Please note: we also accept unsolicited applications for UA Ruhr professors not providing a profile! We will then get in touch and ask if they are willing to host an international guest. Interested UA Ruhr Professors will be providing profiles from January 2019 on (check for updates regularly). Call for International Applications: ends on 1 March 2019. Decision/Invitation of Guests: mid-March 2019. 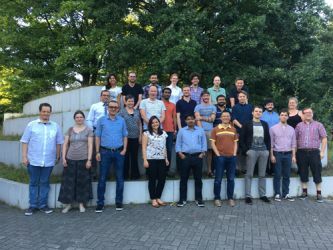 Research Explorer Ruhr: 16 to 29 June 2019. Our professors offer to host one guest at their institute from 16 to 29 June 2019. During this time, you can work out cooperation opportunities, research compatibility and possibilities to come back as a postdoctoral researcher with your own funding. Important note: In case you would like to work with a researcher who has not uploaded a profile, please send your application to rsplus@rub.de nonetheless so that the coordinator can get in touch with the local professor. Please click on the + for further information on Research Explorer Ruhr! International doctoral researchers, who have already submitted their doctoral thesis, and early international postdoctoral researchers, who have recently finished their PhD, are invited to apply for a spot in Research Explorer 2019 at the three UA Ruhr Universities Duisburg-Essen, Bochum, and Dortmund. Our professors offer to host one guest at their institute for the last two weeks in June 2019. During this time, you can work out cooperation opportunities, research compatibility and possibilities to come back as a postdoc with your own funding. Research Academy Ruhr funds your stay (travel, visa, accommodation) and will offer a program of workshops on funding options and cultural activities to round off the experience. June 17: Welcome Day, Introduction "German Research Landscape"
June 24: Workshop "Write successful fellowship application"
You find the profiles of the participating professors under "Hosts and Application" and can apply directly by 1 March 2019. Research Explorer Ruhr gives you the opportunity to invite interesting international doctoral students (shortly before their doctorate) and postdoctoral researchers (one year after their doctorate) to this two-week program at the UA Ruhr universities in late June. Research Academy Ruhr will cover travel and accommodation costs. Depending on the university, hosts might be required to provide a financial contribution. If these guests wish to return as postdocs, the candidates themselves are responsible for obtaining the appropriate funds and scholarships. In addition to an introduction to the German research system, the accompanying program will also include a workshop to successfully raise funds for a postdoctoral position. If you would like to welcome a guest in the summer of 2019 (16 to 29 June), please fill out this pdf form after downloading and send it to rsplus@rub.de as soon as possible, at the latest by 10 February 2019. We will place your profile on our website. You are also welcome to distribute our website via your networks in order to find a suitable candidate. The announcement will run until the end of February 2019. You will then have time at the beginning of March to select the most suitable candidate and inform Research Academy Ruhr of your choice. The selected candidates will then be informed about their participation by Research Academy Ruhr so that there will be enough time until June 2019 for travel planning and visa applications. 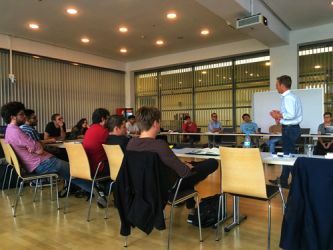 All organisational questions and planning with the guests are handled by Research Academy Ruhr, so that you can concentrate on joint research questions or projects. If you have any questions, please contact Dr. Jörn Benzinger. If you are thinking of doing a postdoc at one of the three universities of the University Alliance Ruhr, but are not sure if it is the right fit for you, Research Explorer Ruhr is the right program. We offer a scholarship to visit us for two weeks to explore an institute that fits your research profile. During the two-week stay, you will get the chance to participate in workshops on the German university system and proposal writing for postdoc funding, get to know the Ruhr Area culturally and scientifically and meet scientist working on relevant research questions. Together with the hosts the invited guests can work out cooperation possibilities and scientific compatibility. For scientific questions please contact the professors directly. "Attending the Research Explorer Ruhr (RER) in July 2018 enabled me to deepen my research collaboration with Prof. Stefan Berger, Director of the Institute for Social Movements. This collaboration eventually resulted in the successful application for a DAAD-Postdoc Research Fellowship. The RER was a crucial step in my successful grant application process for the application writing workshops and the exchange with international scholars from diverse academic and regional backgrounds improved my skills that are necessary for writing successful grant applications." "The Research Explorer Ruhr Program was excellent! It gave me the opportunity to connect with mentors at the Institute of Social Movements, as well as conduct research on a new project on female political prisoners in Germany in the library of the Institute and the RUB. The unique structure of the program provided both guidance and freedom to pursue new academic endeavors in Germany. I hope to return as a postdoc and enjoy beautiful Bochum again in the near future!" "Research Explorer Ruhr (RER) is an excellent program for those who have an intention to continue their postdoctoral research in Germany. I had an opportunity to communicate with researchers from different countries, cultures and of various professions. We explored the university, got to know the German system of higher education. RER provided a good platform to the participants to exchange some methodological and educational experiences: we presented our ongoing research during sessions." 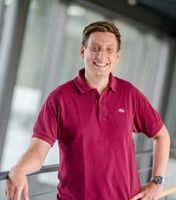 "Attending the Research Explorer Ruhr program was an amazing opportunity to learn about postdoc funding options in Germany, to build up a scientific network and to start a collaboration in my research project with an outstanding group at the Department of Biochemistry of Ruhr University Bochum. The program is nicely organized, with interesting seminars as well as space for discussions and experience exchange among successful young researchers."